Customizable Umbrella. Fits or Changes your Landscape! There are so many stories surrounding that big old star that shows up each morning and disappears at nighttime. Mr. Sun was once hailed as the reigning god of the universe. It’s been called a devourer of stars. It’s been worshiped, anthropomorphized, sung about, written about, prayed to and more. These days, we oftentimes demonize the sun. We imagine that Global Warming will progress to the point that good old Mr. Sun will burn us to smithereens! Well, none of these tales and hypotheses can be confirmed or denied. But you probably do know one thing: whatever the sun may be, it sure feels good to sit outside in its presence. 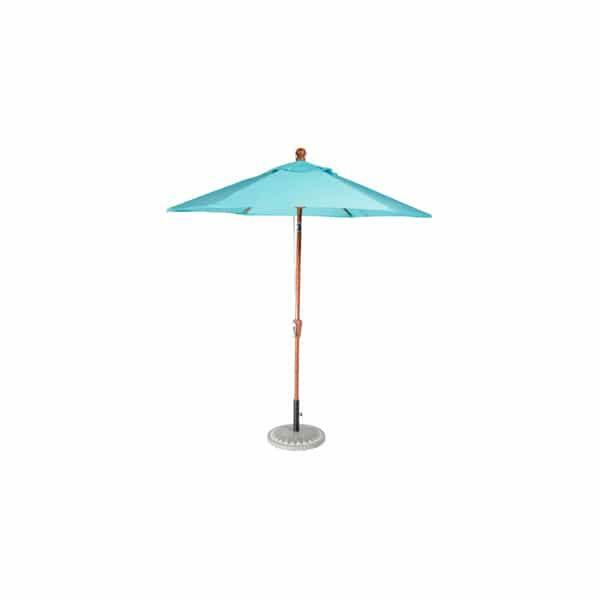 You can do so and still protect your skin and remain cool with the use of the 7.5’ Market Umbrella. It’s ideal for at-home use, and serves as a way to nudge you out from your window perch and into the natural world.